During worship this past Sunday, we took time during our pastoral prayer to acknowledge the immense suffering and struggle of the Syrian refugee crisis that continues to escalate throughout the Middle East and Europe. Specifically, I called upon our congregation to remember the work of two families who are working directly with the crisis through the Cooperative Baptist Fellowship (CBF). These friends are CBF Field Personnel Chaouki and Maha Boulos who serve in Lebanon and the Middle East, as well as Alicia and Jeff Lee, who serve in Skopje, Macedonia. If you were not able to be with us on Sunday, take some time to engage this prayerful moment we shared worship. In an effort to further inform our congregation of ways JCBC is posturing to respond to the growing need, here are 3 things you need to know. 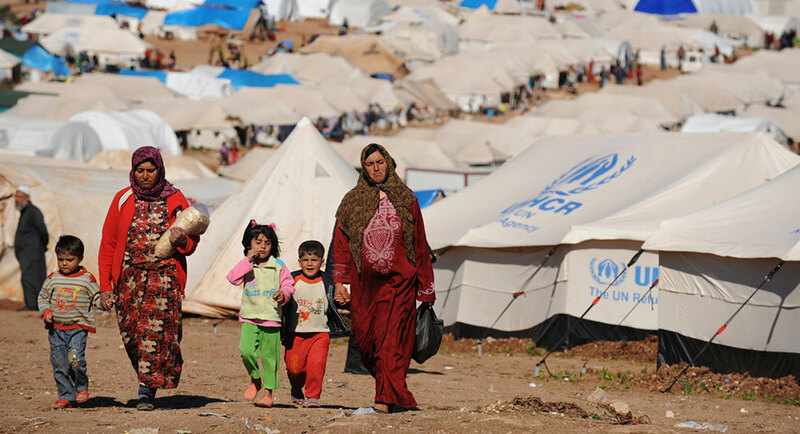 This week, JCBC will be sending an immediate contribution of $1000.00 to CBF’s Syrian Refugee Relief Fund. This is a standing protocol we have in place typically when natural disasters occur so that we can participate in early relief efforts when funds are most needed. This crisis is certainly not in its early stages. The Syrian civil war is now in its fifth year, however, the rapidly swelling tide of refugees constitutes something of a next-level emergency. In addition to sending immediate funds, on Sunday our Missions Committee began some preliminary dialogue about more substantial ways JCBC may be able to respond to the crisis in the months ahead. As more is learned about real needs on the ground, the congregation will be equipped and empowered to respond accordingly. Recent posts on the CBF blog prove very insightful in describing the particular ways our CBF field personnel are aiding in the effort. I recommend you take the time to follow each of these links, two of which explain in detail the work of the Lees and the Boulos’. I ask you to join me this week in praying for our CBF sisters and brothers who serve so faithfully in the name of Christ and on our behalf.